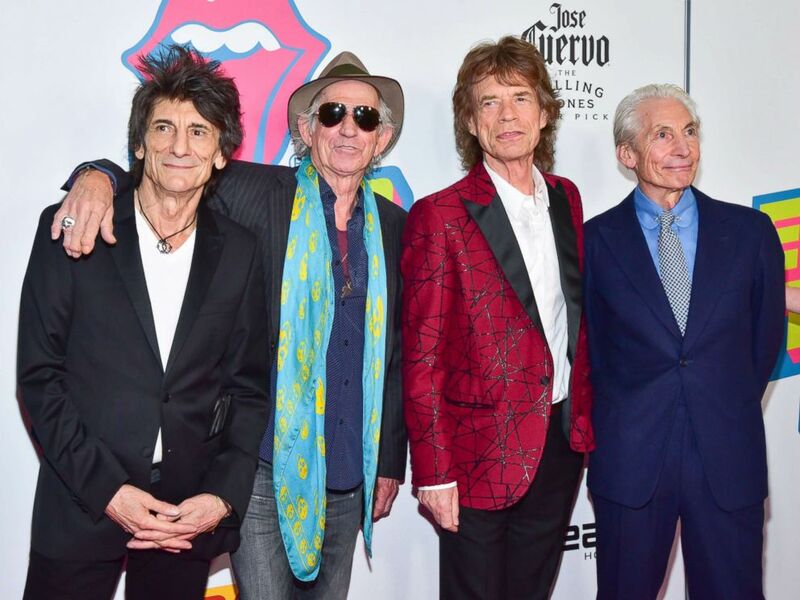 With The Rolling Stones set to launch a new European leg of its No Filter Tour in May, guitarist Ronnie Wood, who underwent an operation last year to remove a cancerous lesion, has given an update on his health status. "I had three months of check-ups and it was all clear and they said go and enjoy life," Wood told the U.K.'s Metro. The 70-year-old rocker adds that he was glad he didn't need to undergo chemotherapy because he wouldn't want to lose his hair. (L-R) Ronnie Wood, Keith Richards, Mick Jagger and Charlie Watts attend The Rolling Stones - Exhibitionism Opening Night at Industria Superstudio, Nov.r 15, 2016, in New York City. It was a wonder I wasn't riddled with cancer in both lungs. "If your body is riddled with cancer, it's a losing cause," he maintained, adding that he was fortunate that it was contained to his left lung. "There was none in the rest of my body so I didn't require chemo." Despite his health scare, Wood said he doesn't have any regrets in life. "No, not even smoking for England for over 50 years," he insisted. "It was a wonder I wasn't riddled with cancer in both lungs. It's a wonder they both didn't explode." Meanwhile, Wood said he and his Rolling Stones bandmates are more enthusiastic than ever about playing live. "After the last show in Paris [last October], we all looked at each other and said, 'We're just getting warmed up,'" he told the British website. As for what keeps the group going, Ronnie said, "There's something magic that happens when all four of us come together. It's like a momentum none of us can explain. It's like, bang -- an unstoppable force."